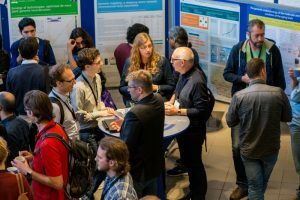 You can now register for the kick-off meeting ELIXIR Implementation Study on Metabolite Identification on September 18 (evening) and 19 (morning) in conference Centre Engels, Stationsplein 45 Rotterdam, the Netherlands (next to the Rotterdam Central Station, reachable within the hour from Schiphol Airport). We encourage you to register for the BENELUX Metabolomics Days, which is organized back-to-back on September 19 and 20 at the location as the kick-off: https://www.aanmelder.nl/nmc2018 (registration fees do apply). The conference will bring together researchers from academia and industry from Belgium, Luxemburg and the Netherlands with many European invited guest speakers.